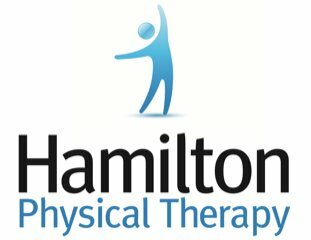 Dr. Thomas and his team from Hamilton Physical Therapy provides soft tissue mobilization including techniques like massage and stretching to relax the tissues to decrease pain. Get Started Today! Soft tissue mobilization techniques are derived from traditional massage-therapy practices, adjusted to target a specific problem. Soft tissue mobilization is prescribed by a therapist after a physical examination. The treatment is always specific to the physical problem. The treatments are designed to ease muscle spasms, break-up scar tissue to improve flexibility, and facilitate healing. Add-on care elements may include general massage, electrical stimulation, and ice. At Hamilton Physical Therapy, Dr. Thomas can relieve your symptoms by utilizing appropriate soft tissue mobilization treatments. Call 410-444-2770 or book an appointment online to begin your care journey! What’s the Difference Between Massage and Soft Tissue Mobilization? Massage therapy has traditionally focused on generalized relaxation and usually covers the entire body or large anatomical regions. Soft tissue mobilization, however, addresses specific problems, and takes into account numerous aspects of both the diagnosis and potential outcomes. Similarities between massage therapy and soft tissue mobilization include the use of the hands, thumbs, and elbows to treat the muscle, fascia (connective tissue), tendons, and ligaments. But unlike massage therapy, specific tissue mobilization instruments may be utilized. This is known as instrument-assisted soft tissue mobilization. Who Needs Soft Tissue Mobilization? How Long Do Soft Tissue Mobilization Sessions Last? Unlike massages – which may be half hour to several hours – a single soft tissue mobilization session usually takes a few seconds to several minutes depending on the objective. We are a private physical therapy clinic in the Baltimore area that provides expert care via a board-certified physical therapist practitioner. Our doors are open to all, and our team will always make sure that we personalize and deliver the right treatment to you. Call us at 410-444-2770 or book an appointment online to start your care journey today.